Whenever I think of cooking classes in Hong Kong, the first place I think of is Towngas Cooking which I’ve been informed is not bad. But if you in the mood to check out something a bit fancier, how about taking a class with a two Michelin starred chef? The Langham Place’s Ming Court is now offering one-hour master classes to learn Executive Chef Tsang Chiu King’s tips and tricks to creating the perfect dim sum treat. 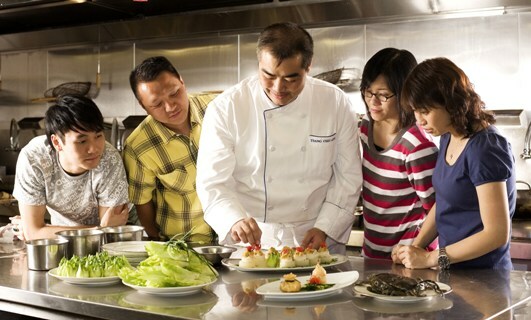 Choose from one-on-one classes or a group class for up to 20 people (it’s HK$10,000 for the first 12 people and an additional $500 per head afterwards) where you can gather your friends for a little cooking party. After the class, you get to sample your food in Ming Court alongside other dim sum made by professional chefs so you can do a bit of comparing. For more information email lphkg.info@langhamhotels.com.